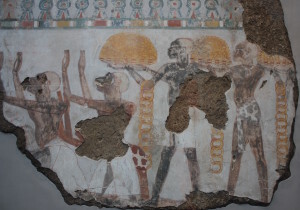 What’s your take on the Abusir mummies ? That’s true. It’s still interesting that Modern Egyptians are more SSA than these Ancient samples, that the 3 ancient Samples cluster together and cluster closer to the modern Levantine/Middle East samples. As Dr Keita points out in his lecture- and at the time this came as a real shock to me- you can cluster people from central Africa with those from Scandinavia if you throw the net too widely. His advice at the time was to look at the linguistic, geographical, cultural links rather than relying on DNA. What would you say to people who have asserted that modern Egyptians are Middle Eastern ‘invaders’ when these latest results, although with flaws, are showing that there’s an increase in SSA ancestry in moderns and that the mummies they sampled cluster with near easterners ? If the results are flawed they have no real or helpful implication. How does the above fit in with the assertion from some that Modern Egyptians equal ‘Arab invaders’ ? As I said, the sampling was heavily flawed. So I don’t really see that the study is worth trying to rationalise. What do you feel is flawed about the sampling and how do you feel that could of been resolved ? The sample size is very small; it is limited to a single area; it covers a period of over 1000 years; and the majority of the sample was taken from Late Period to the Roman Period, so it really isn’t possible to extrapolate to earlier periods. All of these limitations are, if I recall correctly, cited in the full paper; however, this doesn’t mean that we can just ignore their impact on the validity of the study in a broader context. In regards to modern Egyptians, are they genetically the same as ancient Egyptians? I’m fascinated by ancient Egypt and I read on Wikipedia, which I know isn’t a credible source, that modern Egyptians descend from the ancient Egyptians and have little foreign admixture. I don’t buy that because I know the history of foreign invasions and there is no telling what type of genetic impact it could have had on the indigenous population. Also, when I look at pictures of modern Egyptians in lower Egypt they don’t resemble the people of ancient Egypt that were depicted on tomb reliefs etc…they look more like west Asians from the Middle East that were depicted by the ancient Egyptians. However, I do see a resemblance among southern Egyptians, they look like they could fit right in with the ancient Egyptians. Hi Matt, if we look at a basic timeline of when there were people settling in Egypt/Kemet from other countries it becomes clear why there are cultural and visual differences between modern and ancient. Since 332 BCE when the Macedonian Greeks arrived in Egypt, followed by Roman rule, and then much later the Arab settlement large numbers of non-indigenous people have populated the region. DNA aside the timeline demonstrates how the population has changed over the past 2300 years, and that is a long time! In my opinion, and I’m guided here by specialists as discussed in the article, DNA isn’t the best means of looking at population origin or diversity because it is so heavily dependent on the sample size and also restricted in terms of which lines can traced. Hence some of the more recent criticisms of DNA testing to establish ancestry today. If you look at Kushite culture and compare it to Kemetic in the Roman period we see two very different scenarios. Probably because the indigenous rulers continued in Kush. So Berbers genetically cluster with Africans. I always thought they were of remains of Mediterranean stock due to GrecoRomans invasions in North Africa who assimilated themselves in Tuareg( Berber like people) cultures and societies. But they are African according to Dr.Keita even high percentages as 92% and even higher African dna. Are their light skin, blond hair, blue eyes a sign of albinism. I think that Dr Keita’s key message is that there is no such thing as a ‘typical’ African. Why not include the actual DNA test in the article?